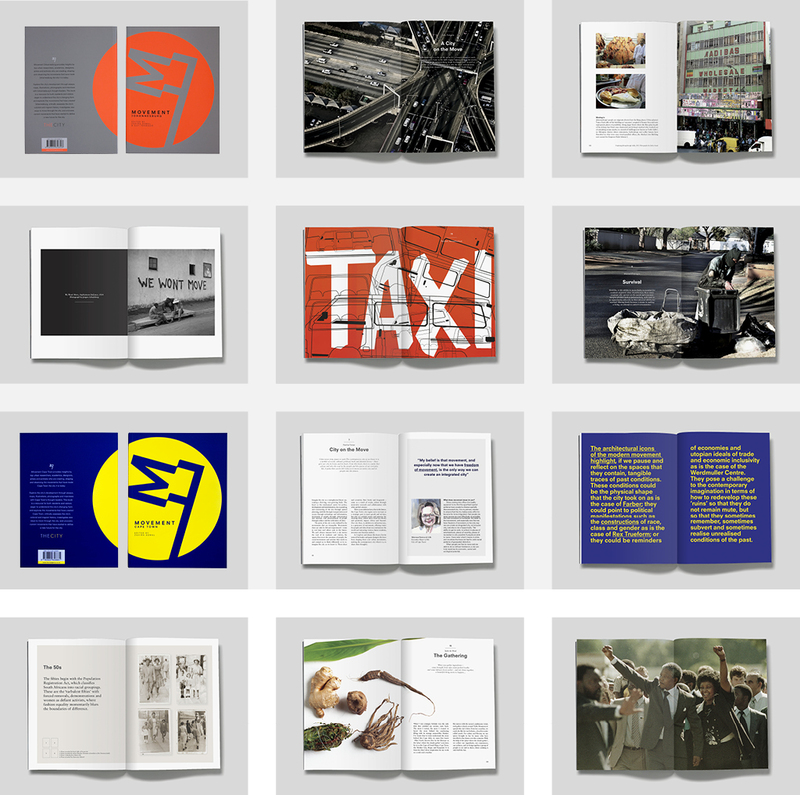 Movement is a series of publications and experiences on Cape Town, Johannesburg and Durban by urban thinkers and writers on the economic, political, spatial, social and cultural movements that have created South Africa’s big cities. The publications offer interesting insights for residents and compelling narratives for tourists and visitors, all within an easy-to-carry, full-colour format. The Movement publications redefine the static and singular narratives that so often define these cities. Movement creates cities. Whether people move to urban centres in search of better lives, ocean currents connect traders, protests spark political change, or a resident makes a routine trip to the corner café, all forms of movement concurrently define global cities. Movements have affected the look, feel and progress of cities in particular and interesting ways. They infuse cities with energy and give them their individuality, their idiosyncrasies, and their joie d’vivre. Movements are the lifeblood of a city, pumping vivacity into its metaphorical heart, and in so doing energising relationships between inhabitants and their city. This innovative series of publications and experiences uses movement as a conceptual device through which to read three major South African cities: Durban, Cape Town and Johannesburg. Durban was presented as a graphic posterzine that looked at what movement meant to a number of key residents. Cape Town and Johannesburg are being explored at greater depth, each with their own book, Movement Cape Town and Movement Johannesburg. Functioning as both a guide for visitors and a resource for residents, the books re-read the historical and contemporary forces that continue to shape these cities. Notable authors, academics, photographers, researchers, designers and artists have interpreted the cities through their movement. The books explore fraught histories, poetically question contemporary decisions, and critically reflect on social change, presenting engaging and inspired reads about Cape Town and Johannesburg, as presented by their accomplished author-residents. Movement is published by The City in association with the South African Cities Network and the City of Cape Town.